A little girl is known to haunt the asylum which was formerly known to be a hospital. 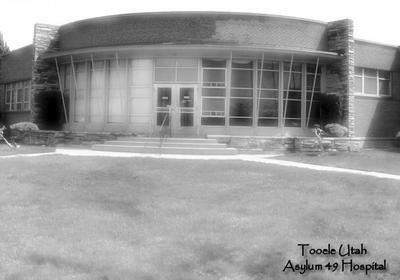 Half of the asylum is a haunted hoyse and the other half is a retirement home. She is normally seen right before somebody dies. A elderly grandmother that lived in the asylum had seen a demonic little girl the night before she died. What people think is weird is that when the little girl manefest, and one person dies, normally two more passings follow. So every death comes in triplets. I have personally seen the kittle girl and it looked like she had a white dress on, she had bloody red eyes, and she had dirty blonde hair. I honestly thought that i was going to die because of the legend. It has scarred me for life and simetimes i see her in my bedroom and in my dreams. If you see the litte girl, prepare to be scarred for life and be followed hy her.